Lucy Sexton's life is perfectly ordinary until the day she answers her front door, only to find a bedraggled and gaunt version of her mother. Her entire household is shocked to find that Aliese Sexton has a twin sister, separated at birth, and raised in a much coarser manner than Lucy's mother. And so the Sextons conspire to keep Helen a secret, training her and making her into a proper, cultured woman. Lucy is delighted--it's like having an older sister. But then both Aliese and Helen start acting oddly, and a few times even Lucy has a hard time telling them apart. And then one day, she stumbles upon the scene of a vicious murder, leaving one twin dead and one alive...but who? And who is the murderer and why did they only kill one of them? The Twin's Daughter is a clever and dark new historical fiction from Lauren Baratz Logsted. She takes a slightly far-fetched plot and winds it into an engaging and atmospheric psychological thriller. Though the book starts out lightly with Lucy being young and naive, growing up, and making friends with boy-next-door Kit, there are hints at darker plots and hidden agendas from the very beginning in Helen's dissatisfaction at her treatment, her untrustworthiness, and how she delights in Lucy's father's company and being mistaken for Aliese. The book becomes more ominous after the murder and Lucy is forced to grow up quickly. However, she doesn't start to question the identity of the surviving twin until another death occurs, and then it's a whirlwind of unveiled secrets and surprise twists that lead to a dramatic end. 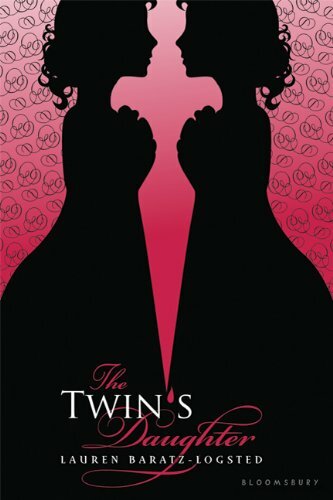 The Twin's Daughter is not without humor or its light bits, but it is mysterious and suspenseful novel about mistaken identity, revenge, passion, and love that will surprise you. Cover Comments: I like the image within an image effect of this cover! It's very neat, and I think it lends itself well to the tricky nature of the story. Very nice! The Twin's Daughter is available now!